Spammer is a person who sends spam. Who was the first spammer? Many people mistakenly consider sending bulk emails as spam, but it is not true. An email is a spam in only one case — if the recipient has not given a permission to receive emails. The word spam refers to the canned food. This is a cooked meat, placed in a can. It was widespread during World War II when there was not enough meat for the soldiers and they had to eat canned food every day. Everybody was fed up and annoyed by the SPAM. This abbreviation has several meanings: SPiced hAM, Shoulders of Pork And hAM. The original idea is known only among the founders of the brand. Spam, what we call it today, took its name after this canned food because it is annoying and not of the best quality. The first known spammer was Gary Thuerk, a marketer in the Digital Equipment Corporation. He sent the first spam in 1978 to 400 recipients, out of 2600 on ARPAnet. Gary Thuerk sold DEC machines, and actually, his spam worked, as he got $13 million income. Thuerk received some complaints, but his favourite one was from a man from the University of Utah. This man told that he had not managed to use his office computer as the spam email used all the disc space. Gary Thuerk considers himself not as the first spammer but the email marketer. This fraud is known all over the world. It is also called Nigerian bank scam, Nigerian money offer, Nigerian Letter, 419 fraud, Nigerian scam. The country it originated from is obvious. Firstly, it was a postal fraud sent between 1970-1980-s during the Second Nigerian Republic. Many of the letters were believed to be written by the members of the royal family, government and businessmen. They asked for financial aid, in particular, bank account numbers. They pretended to need the help because of currency devaluation in the country. 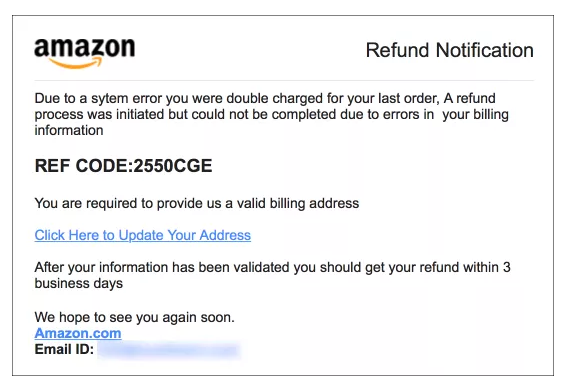 Then, it became a popular email fraud. Spammers tell that they have inherited a fortune but they need your bank account for transfer, and if you help — you will get the interests. So, people give a fee in advance and receive nothing. Spammers want you to give your personal information at the fake websites that look like the legitimate ones. These spammers pretend to be a marriage agency or a translation agency. They create fake profiles with the photos of fictional brides. When a man from the abroad becomes interested in a woman, they require money for translations, fees needed for the call, etc. Recipients get an email according to which somebody published a secret about them and to see it, they should pay a fee. It is another popular scam all over the world. 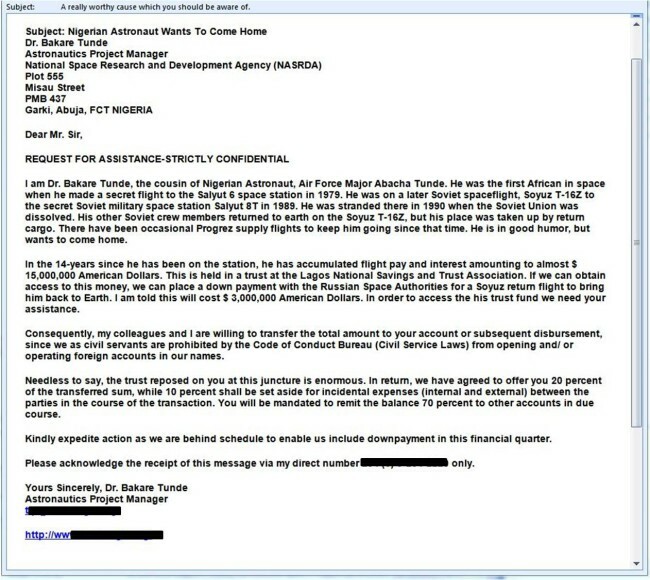 People receive an email saying that they have won a lottery and to get the money they should pay the transfer charges. Certainly, they do not receive any money. CAN-SPAM Act sets the rules for sending commercial emails and establishes the requirements. Also, the punitive measures for violation are specified. Discover more about CAN-SPAM Act. Rate this article about "Spammer"
If you are interested in "Spammer" you might be interested in our bulk email service.